Bridget Grant joined the Charlotte office of Moore & Van Allen as a Land Use and Development Consultant in 2016. 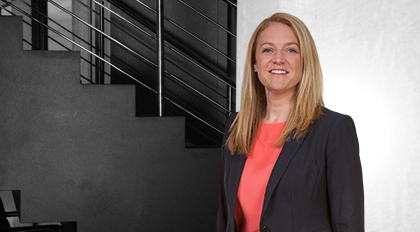 Her primary role at the Firm is to help clients navigate various regulatory environments associated with entitlement and permitting processes, including rezoning efforts, subdivision compliance, land use ordinance and planning projects and transportation and master planning matters. Grant has more than 10 years of land planning and urban design experience in both the private and public sector. Before joining MVA, Grant was a Planning Coordinator for the City of Charlotte providing technical and design guidance on complex development projects, policy implementation and community planning. She served as the Project Manager leading the Charlotte-Mecklenburg Zoning Ordinance rewrite, administered the City’s Mixed Used Development District and was involved in day-to-day land development and policy decisions for south Charlotte including the Park/Montford, SouthPark and Ballantyne areas. Grant is a member of the Urban Land Institute Charlotte District Council, ULI Women’s Leadership Initiative former chair and current national Urban Development Mixed Use Product Council member. Grant’s planning and design experience includes zoning interpretation, land development permitting, long range comprehensive land use planning, land acquisition for public spaces, greenway master planning and construction management, and corridor revitalization initiatives. Her experience has given her extensive knowledge in coordinating public/private projects and developing solutions that balance community interest, regulatory standards and real estate trends. Rocky River Area Plan, Charlotte Mecklenburg Planning Department. Grant played a lead role in the development of the design guidelines for the Rocky River area in northeast Charlotte. Little Sugar Creek Greenway, Mecklenburg County Park and Recreation. Grant was the project manager for the development of the transformative Little Sugar Creek Greenway Master Plan. Originally envisioned as a 13 mile greenway trail, in recent years, this greenway is now part of the larger Cross Charlotte Trail.